When looking to hire someone to handle your landscaping and lawn care needs; you want a company that will take care of your property as well they would their own. A company made up of professionals that are committed to exceeding your expectations. Hofmann Landscaping and Lawn Care started in 2012 with these principles in mind. 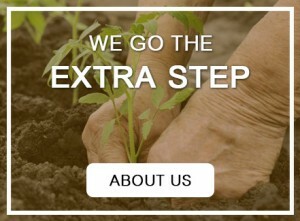 We provide great service so you can save time and effort while getting the lawn that you deserve. We understand that having a great looking outdoor space with excellent landscaping can be difficult to attain in a world of hectic schedules. The thought of paving walkways and tearing out shrubs seem like things you may never get around to doing yourself, and if you leave it to someone else how can you be sure that you are going to get a final result that you’re happy with? We cater to both commercial and residential clients with high quality equipment and a friendly, experienced staff. We pay attention to the smallest details of your property so that you get the look and beauty you want for your lawn. We begin by working closely with you to find out what you want out of your outdoor space. Whether you have a onetime need or require regularly scheduled maintenance—let us save you the time and efforts spent on ground maintenance and give you the look and feel that you want for your space. Our commitment is to take care of your landscaping like it was our own property so you can worry less about your lawn and spend more time on the things that matter to you. We accomplish this through the same values we have had since the beginning—to be friendly and professional while going above and beyond the call of duty for every client. Contact Hofmann Landscaping and Lawn Care today and tell us about your home or commercial property needs. We look forward to hearing from you and hope to help you create the perfect outdoor space. Be sure to ask us about a free estimate.